Fabio Mangolini, born in Rome on November 3rd 1964 is a graduated in Philosophy at the University of Bologna. In 1984, following his participation at the Montepulciano International Art Workshop, he was called by Marcel Marceau to attend the Ecole Internationale de Mimodrame de Paris Marcel Marceau, graduating in 1987 after three years of studies. He dedicated the last year of study to directing and in 1990 he was called by Marceau himself to teach in the School (1990-1995). In 1986 he also joined as young Arlecchino the international company "Les Scalzacani" directed by Carlo Boso and based in Paris. 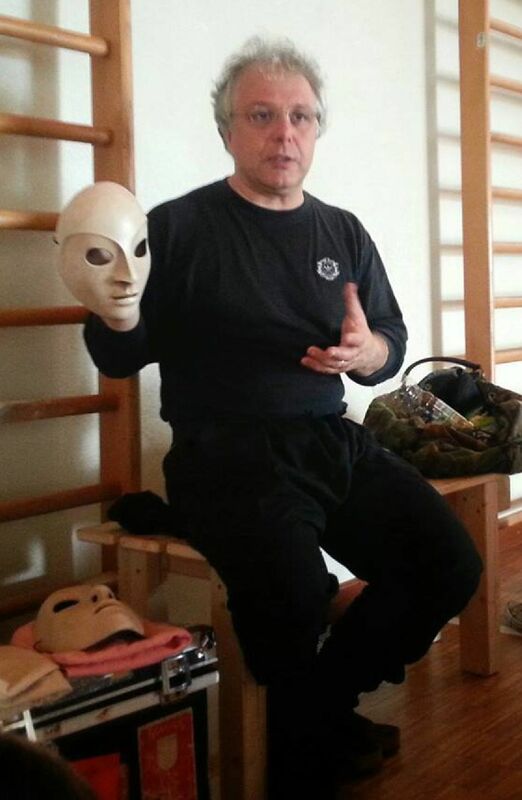 He specialized in the roles of servant of the Commedia dell'Arte and, after leaving the company in 1991, he continued to bring the Commedia dell'Arte for the world with a well-tested Lecture / Performance "The lazzo of the Fly and other stories" and through training workshop for professionals. In 1991 Fabio Mangolini followed in Paris the Kyogen’s workshop with Master Nomura Kosuke, fundamental interpreter of the art of Kyogen, with whom he collaborated in Tokyo from 1992 to 1994 benefiting, among other things, of the Japan Foundation's Artist Fellowship Program and the International Grantship Theater Institut through the Japanese Ministry of Culture (Bunka-cho). In Japan, Fabio Mangolini also collaborated with HIdeo Kanze, Noh’s Master, and with the theatre-dance company Warabi-za. Back in Europe in 1994, Fabio entered in the company “L’Entreprise” directed by François Cervantes, collaborating until 1996; in the meantime, he was assistant director Daniel Mesguich at the National Drama Center of Lille (France). From 1994 to 1998 he taught "Practice of theatrical styles" at the "Arts du Spectacle" faculty at the University of Metz. For Mangolini the pedagogical activity becomed more and more closely linked to his theatrical practice both as an actor and as a director. 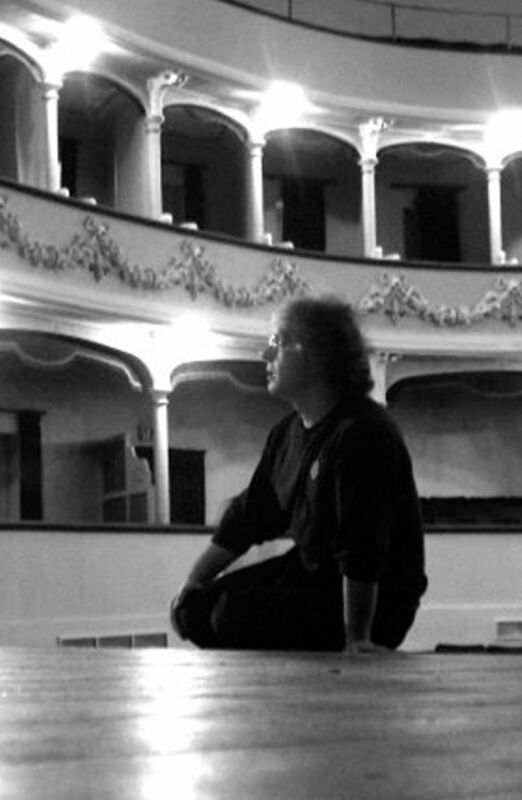 Over the years he has taught courses and workshops in prestigious drama academies such as the GITIS and MKAT in Moscow, the Conservatoire in Brussels and the Académie of the National Drama Center in Limoges, in major US and South American Universities, up to be engaged in 2004 as Professor of Physical Theatre at the Real Escuela Superior de Arte Dramático in Madrid, where he taught until 2009. He has given courses and workshops on the art of the actor in Italy, Spain, France, Germany, Belgium, Ireland, Norway, El Salvador, Japan, United States, Chile, Russia, Uruguay. 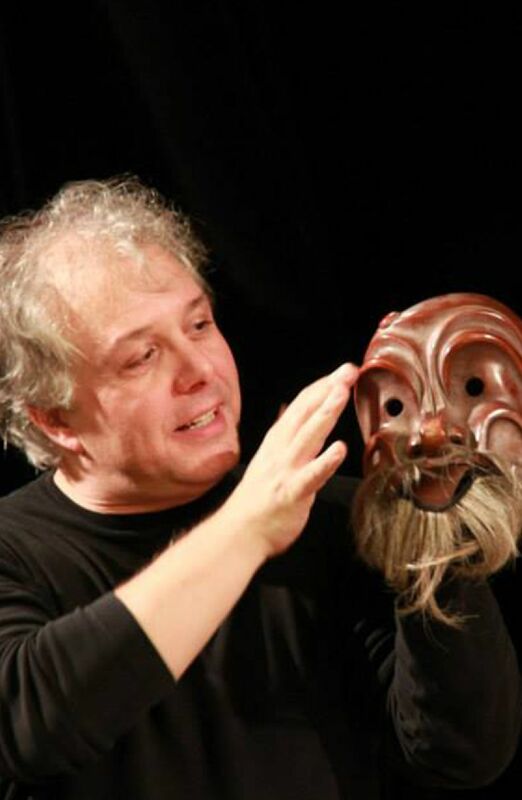 He has also collaborated for the actor's pedagogy with the mask with the Centro Maschere e Strutture Gestuali of the Sartori family of Abano (Italy) for over a decade. In recent years he has directed the Masters in Physical Theatre of the Mississippi University-Academy of the Arts. As an actor, he has worked with numerous directors, including Carlo Boso, Nomura Kosuke, François Cervantes, Roxanne Rizvi, Remi Barbier, Didier Doumergue, Francesco Brandi, Tim Supple, Giles Smith ... playing and touring in Italy, Spain, France, Portugal, Switzerland, Austria, Germany, Belgium, Ireland, Finland, Luxembourg, Norway, El Salvador, Japan, United States, Chile, Russia, United Kingdom, United Arab Emirates, Israel. As a director his work spans both in the classical and contemporary fields. Among his performances are "The night just before the forests" by Bernard-Marie Koltès, "Si o vello Sinbad volviese as illas" by A. Cunqueiro (Galego Drama Center of Santiago de Compostela - 9 "Maria Casares" awards 2000) , "Novecento" by A. Baricco produced by the Théâtre Le Public in Brussels (two nominations for "Prix du Théâtre" 2000), "Couple Ouverte" by Dario Fo and Franca Rame, produced by the Théâtre Le Public in Brussels, "Enemigo de clase "(Enemy of Class) by Nigel Williams," Escuela de Bufones "(Ecole de Boufons) and" La Balada del Gran Macabre "(La Balade du Grand Macabre) by Michel de Ghelderode," El Basilisco Enamorado "," La Rueda del Juicio "," Mi chiamano Garrincha "," Las Aves "(The Birds) by Aristophanes ... Among his most recent works" Squash "by Ernesto Caballero," La Bancarotta "by Carlo Goldoni," Molt de soroll for no res "(Much Ado About Nothing) by William Shakespeare. Lately in Spain he has collaborated with Nao Damores and Ana Zamora for the production of "La Comedia Aquilana", by Torres Naharro produced by Nao Damores and the Compañía Nacional de Teatro Clásico. In July 2009 he was appointed President of the Foundation Teatro Comunale of Ferrara, from which he resigned in July 2011 to take on the role of Coordinator of the same Foundation. From 2011 to 2014 he was President of the Italian School of Opera Association. From 2018 Fabio is the Artistic Director of Cornucopia Performing Arts Labs.